WHAT’S JUMANJI: WELCOME TO THE JUNGLE ABOUT? If you’re familiar with the original book, authored by Chris Van Allsburg, then you already know the basic story. For the uninitiated, Jumanji is a board game that literally comes to life and requires the participants of the game to finish it once they start. The new movie starts in 1996 (one year after the events of the original film) where the game is now in the form of a video game cartridge, and traps a new player in the game once he starts. Flash forward two decades later, and viewers are introduced to four teenagers who enter the game while serving a session of after school detention. The four adolescents become avatars of the characters they play in the game and must overcome their real-world differences, and work together, in order to complete the game and return to the real world. When I first heard about a Jumanji sequel a couple of years ago and also heard who was going to head the cast of the film, I had made up my mind and dismissed the upcoming film with no interest. I believe a big part of the reason to discard it was because I saw the 1995 film once and I just felt it was not a memorable affair. After seeing Jumanji: Welcome to the Jungle, I was forced to eat my own words and now I have an interest in revisiting the original movie. Welcome to the Jungle was a funny little thrill ride from beginning to end. The biggest fun in the film comes from watching adult actors such as Dwayne Johnson, Kevin Hart, Jack Black, and Karen Gillan physically portray adults, but mentally sound and act is if they were teens; especially Jack Black. What appears to be an odd choice in casting works out better than one could imagine. Nick Jonas and Bobby Cannavale round out the cast of the game, while young stars Alex Wolff, Madison Iseman, Ser’Darius Blain, and Morgan Turner portray their real world counterparts (they’re only on screen for about 10 minutes the entire film). The special effects are amazing and complement the story very well, and I highly recommend watching the film in 3D if possible (very immersive and adds depth to the on-screen action). Jumanji: Welcome to the Jungle is rated PG-13 for adventure action, suggestive content and some language. Although the violence on screen is not graphic or particularly brutal, the main cast are given three lives each (like in most video games) and meet their demise in comical, but still harsh ways throughout the film such as one character eaten by a hippo. Punches and kicks are thrown but no more violent than an Indiana Jones film. In terms of foul language, the “s” word is used a few times and the “b” word is used once (most of the profanity comes from Kevin Hart’s character). Throughout life there is a possibility you are going to be put into a situation with people whom you don’t particularly like, but will have to put aside differences in order to complete a task. Different people can bring different strengths and insight to a situation (see 1 Corinthians 12:14-27). 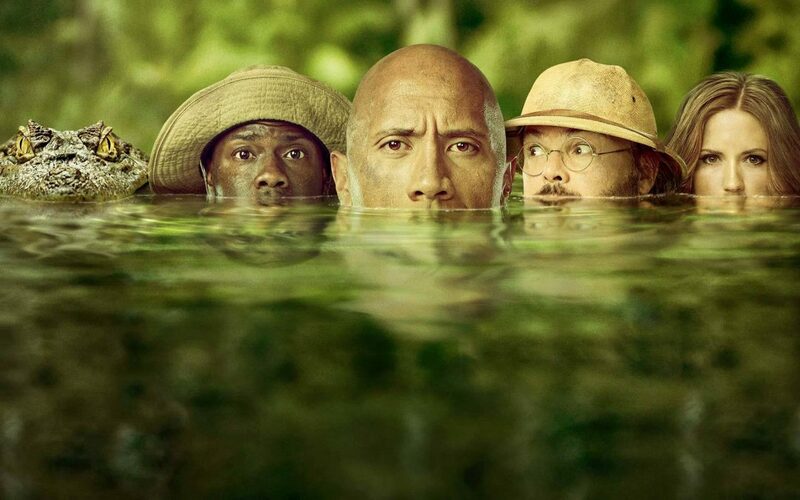 Another fantastic Dwayne Johnson comedy with plenty of jungle action is The Rundown. Check it out.